The project to restore Kayangel stands to benefit incredible wildlife and local community. As Island Conservation Project Directors, we work on islands where both the concentration of biodiversity and rate of extinction are greatest. Few places offer a higher return on conservation investments or greater satisfaction. Increasingly though, we have found ourselves working in places that have proven to offer even greater fulfillment: inhabited islands. The island of Kayangel is a wonderful example. Kayangel Atoll is a remote outpost of Palau. Getting there requires leaving the protection of Palau’s fringing reef on a small boat and traveling across an open ocean channel with rough seas; this excursion makes the atoll seem all the more remote. Once inside Kayangel’s reef, the chaos of the choppy ocean fades away to smooth, clear blue water and a white sandy sea floor interspersed with large clusters of abundant thriving coral colonies. It is not uncommon to spot Hawksbill Sea Turtles, Blacktip Reef Sharks, and Giant Clams while traveling across the lagoon. It’s impossible to ignore the idyllic islands of the atoll, bordered by white sandy beaches and bursting with native forest that is finally starting to regrow after being wiped out by Tyhpoon Haiyan in 2013. The forests of these islands provide a stronghold for the Micronesian Megapode (a bird that incubates its eggs underground using composting vegetation as the heat source) and other incredible wildlife, such as the Palau Flying Fox, the Palau Ground Frog, Green and Hawksbill sea turtles, the Palau Snake-eyed Skink and the Nicobar Pigeon. Kayangel is also home to a small community of about 60 people whose ancestors first staked a claim to the island over 3,000 years ago. Because of their isolation, the people of Kayangel are staunchly self-reliant, supporting themselves with locally grown produce and natural resources. Palau is well known for its plentiful reefs and waters and the locals of Kayangel have a strong culture of conservation and resource management to ensure their reefs remain healthy and can provide for their people for generations to come. On land, rats, a non-native, damaging (invasive) species on Kayangel, pose a threat to the residents’ way of life, restricting the crops that can be grown, suppressing staple resources such as land crabs, and propagating disease. The Kayangel community was once famous for the dishes it prepared made from locally grown corn, a legacy that has now fallen by the wayside due to the impacts of invasive rats. Rats also threaten Kayangel’s biodiversity, eating the eggs and chicks of nesting birds and turtles and competing with native species for food. Yet, there is hope for a brighter future for the people and wildlife of Kayangel. We are working with colleagues and with the Kayangel community and other stakeholders to plan an operation to remove invasive rats from Kayangel, and we hope to implement the project next year. If successful, the project will lead to wildlife recovery, more natural resources upon which the Kayangel community depends, and a better life for all the island’s inhabitants. What more could we ask as a reward for our efforts? 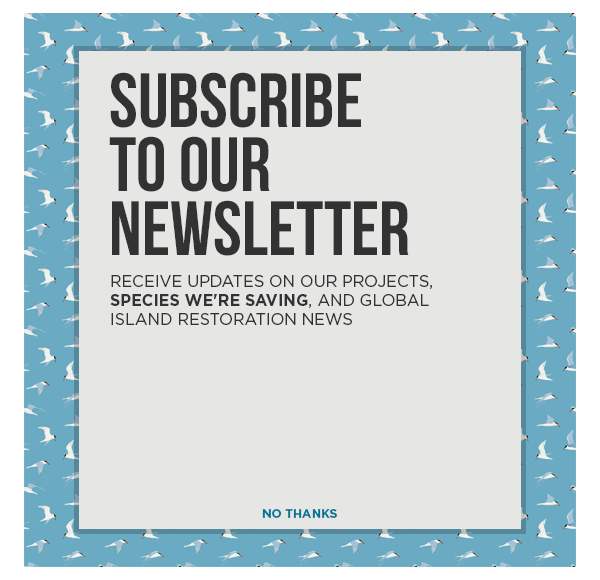 As a previous member of DoC’s Island Eradication Advisory Group, with a strong commitment to the conservation of threatened species, Richard brings many years of island restoration knowledge and experience to Island Conservation. Tommy earned his BS in biology from California Polytechnic, San Luis Obispo, where he worked on a variety of biology and ecology projects. Traveling with his father in the mountains of California and around the world served as the catalyst for igniting Tommy’s passion for preserving the beauty of natural ecosystems. As an avid outdoorsman, Tommy enjoys fishing, hunting, surfing, and backcountry snowboarding.